at the Soft Opening today. 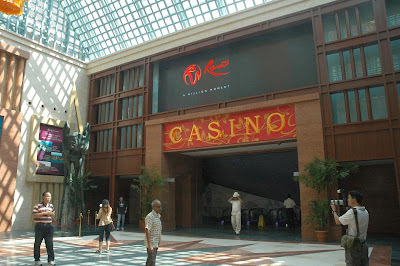 Singapore's first ever Casino will be opened at a later date, but won't be too long from today's opening of 4 hotels. 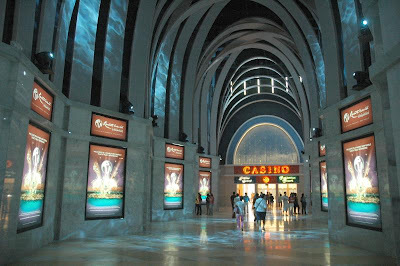 The underground hall leading towards the casino is magnificent. 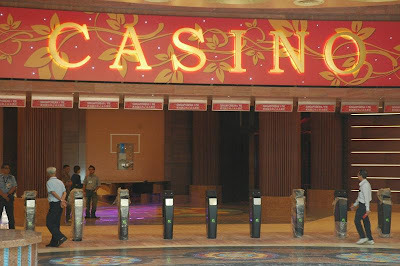 Somehow the casino main entrance differentiates between Singaporean/PR and foreign nationalities. 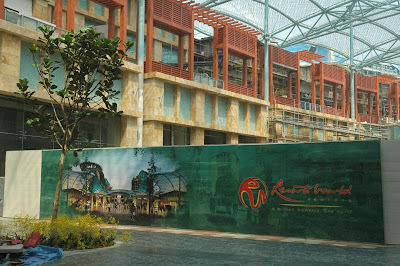 The much anticipated Festive Walk retail mall is still closed for construction works. Amongst stores that you can expect are those you could easily find on Orchard Road such as Bvlgari, Chanel, Coach, Tod's and Ralph Lauren. There is also Asia's first Victoria's Street BRA store. 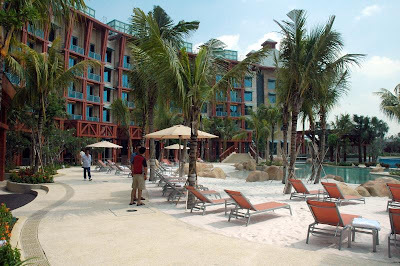 Singapore's first Hard Rock Hotel has a nice man-made beach and lagoon. Its Rang Mahal Restaurant looks quite exclusive. 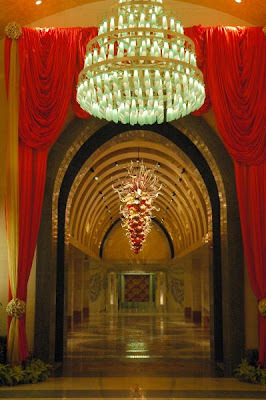 Hotel Crockfords' Chihuly artworks stunned me for a moment. Impressive! Festive Hotel indeed has a more jovial mood. 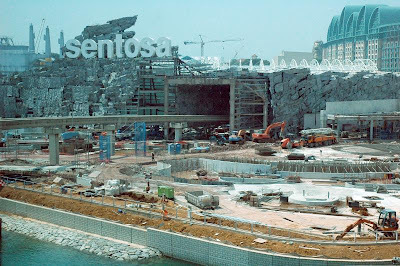 Frankly, the whole area is still under massive construction. I say give it another few months and we shall partayyy there! But I heard ppl complaining the furnishing looks abit cheapo... not sure. 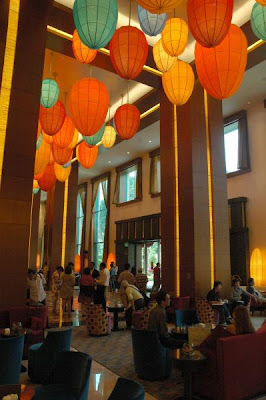 neway welcome to my bloggie..